Posted on Monday, September 10th, 2018 by Jan I Szelkowski. 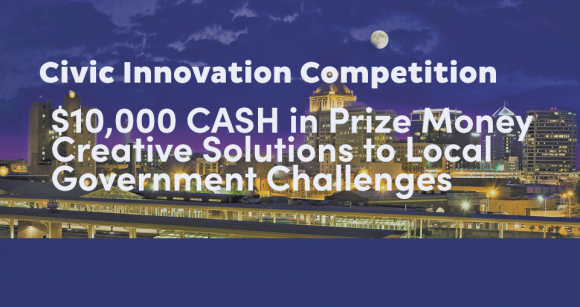 The 2018 Civic Innovation Competition is open to all full-time UNCG & NCAT Students interested in developing innovative solutions for local government problems. Outlined on the competition website are 7 Problem Statements currently challenging Guilford County Government. Your task is to develop an innovative solution for one or more of these problems. Participants will submit their first-round ideas online, while finalists will have over a month to prepare for LIVE Final Presentations. 10 Finalists will all be awarded $500 and the overall winner will be awarded $5,000.